A series of public forums showcasing new ideas and emerging technologies from around the region and world, bringing them home to Aquidneck Island. Civic engagement is an essential goal of the Aquidneck Island Planning Commission as we seek to keep Islanders informed and involved in policy- and decision-making that affects us all. 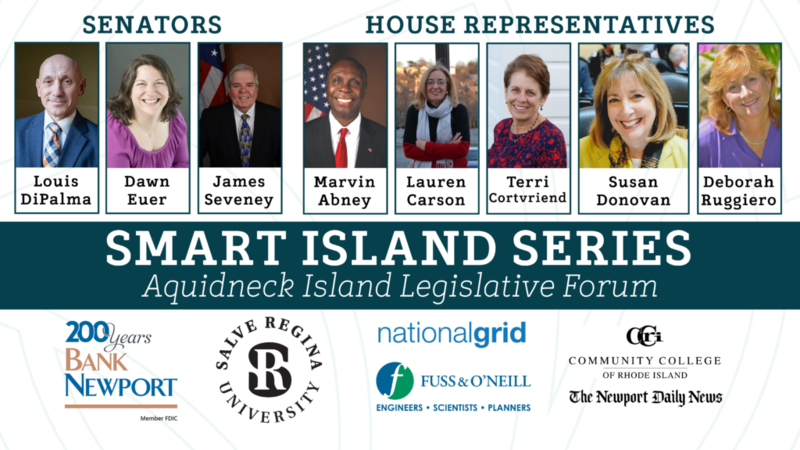 The Smart Island Series of public forums plays a key role in this, quarterly gathering local and regional leaders to take part in panels and discussions on topics relevant to ensuring a smarter, cleaner, and healthier future for Aquidneck Island. 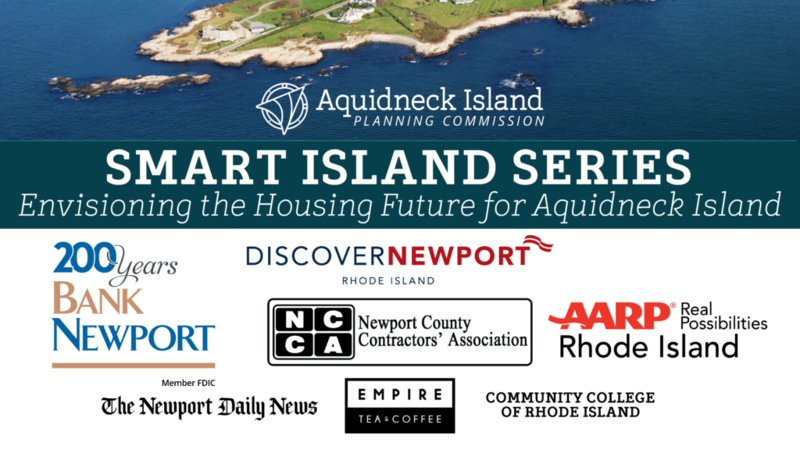 AIPC organizes the Smart Island Series in partnership with the Newport Daily News. Most forums take place at the CCRI Auditorium in Newport, and are always free and open to the public. A conversation with Aquidneck Island’s state senators and representatives. We discussed important issues for the island (such as education, housing, and energy infrastructure) and had the opportunity for audience members to ask questions of their elected officials. Sponsored by Bank Newport, Salve Regina University, National Grid, Fuss & O’Neill, Community College of Rhode Island, and Newport Daily News. December 8, 2016: The Future of Clean Water. National, regional, and local leaders in water quality discussed the state of Aquidneck Island’s fresh and salt waters, and what we all can do to ensure clean water in the future. View or download the PowerPoint presentation here. September 16, 2016: Solar & Beyond: The Aquidneck Island Energy Forum. Led by state and local policymakers and energy leaders, the forum explored new ways of financing renewable energy and efficiency improvements, helping individuals, businesses and municipalities on Aquidneck Island create a more sustainable and affordable energy system. Read news coverage here. A conversation with Newport County’s state senators and representatives. We discussed the 2017 legislative session, focusing on issues of importance to Aquidneck Island and Newport County. Broadband Communications – Aquidneck Island is poorly served for broadband communications. How can we foster competition and improve service for Island homes and businesses?